and is possibly the only sport where players of all ages and abilities can compete with each other. One of the primary missions of EDGA is to help individuals with impairment to start, stay, succeed and enjoy golf. 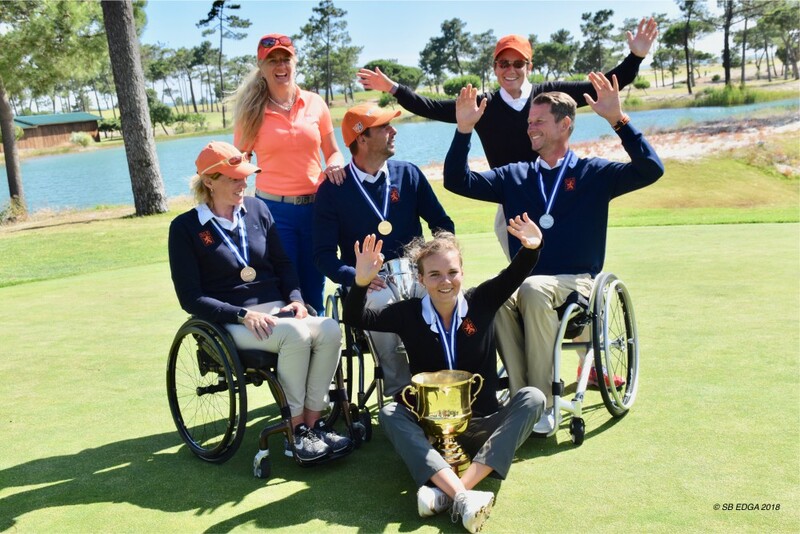 Amongst EDGA’s major achievements is to provide approval for three different categories of international golfing events that meet the minimum criteria for golfers with disability. On the 'Upcoming Events' page you will find a full list of EDGA approved events and we aim to keep the contents up-to-date with the latest information as soon as we receive it from the event organisers. However, please feel free to contact any of the individual event organisers directly if you have any questions or require additional information. All EDGA approved events are open to players from all disability categories who meet the eligibility criteria. The events can be played in the stroke, match play or stableford format. The Access Series: is open to players from all disability categories, with a nationally recognised golf handicap of not more than 54, who have an Access Pass or a WR4GD Pass. Players will compete together in a pan-disability format. Where possible, golf handicap should decide the initial draw, before tournament position becomes the deciding factor in subsequent rounds. The format of these tournaments may be stroke play, match play, or stableford. Events must be scheduled for a minimum of 36 holes. Only the points earned by players who have a WR4GD pass will be added to the Ranking. The Challenge series: is open to players from all disability categories with a nationally recognised golf handicap of not more than 54, who have an Access Pass or a WR4GD Pass. Organisers may decide to play the tournament in golf handicap or disability categories, as well as gender and age categories, and have the option to hold a single disability category tournament. The format of these tournaments may be stroke play, match play, or stableford. Events must be scheduled for a minimum of 36 holes. Only the points earned by players who have a WR4GD pass will be added to the Ranking. The Premier Series: is open to players from all disability categories with a nationally recognised golf handicap of not more than 28 for men and 36 for women, who have a WR4GD Pass. Players will compete together in a pan-disability format. Where possible, golf handicap should decide the initial draw, before tournament position becomes the deciding factor in subsequent rounds. The format of these tournaments may be stroke play, match play, or stableford. Events must be scheduled for a minimum of 36 holes.